A sadistic Daimyo (feudal lord) rapes a woman and murders both her and her husband, but even when one of his own vassals commits suicide to bring attention to the crime, the matter is quickly hushed up. Not only will there be no punishment, but because the Daimyo is the Shogun’s younger brother, he will soon be appointed to a high political position from which he could wreak even more havoc. 13 Assassins is a remarkable film that showcases great Strategic planning with in the Plot. The Lord who they are trying to kill is a ruthless leader killing for his pleasures and what not. The thing is I wish they would show more is the lord and his evil ways to give the viewer more hatred towards him, granted I did hate the guy but wish I could see more of his wrong doings. The greatest thing about this movies is the plotting and strategic planing of the 13 Assassins, treating every move like a chess piece. I like that aspect more than the action side of the film. 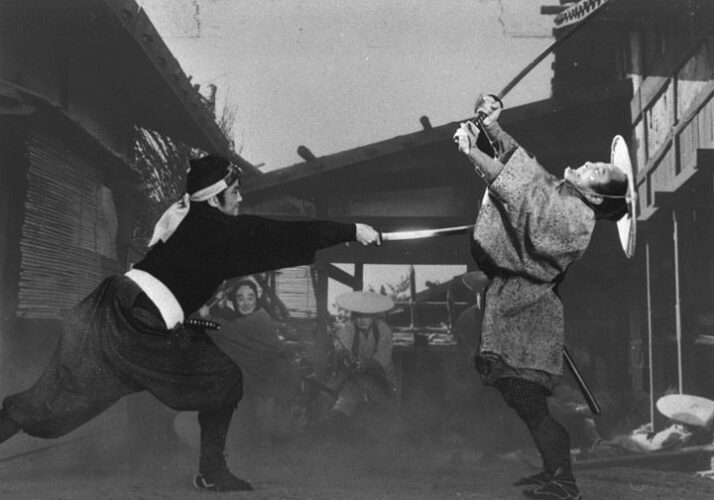 The action was great as well-being that the movie was made in 1963. So death and blood are minimal on-screen but the way its shot you will get the point. Most of the film is about planing the killing of the lord, leaving all the action at the end.The ending is 30 minutes of swords swinging, chopping, arrows flying, and spear puncturing its enemy. 13 Assassins is one of the top Samurai films made, Rated #2 of all time by Kinema Jyunpo (Japan’s most Prestigious magazine). 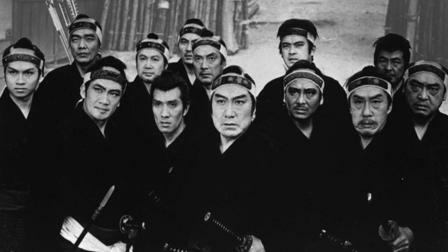 My self I wouldn’t give it the 2 spot but I think it would be at the bottom of my top 5 Samurai films made. This film is the first of its kind to put big battles scenes in film. 13 Assassins is part of a trilogy with 13 Assassins being the first of the collection The great Killing and Eleven Samurai follow. The film has also been remade in 2010 by Takashi Miike which is also a great film. The Quality side of the film is great being that its black and white the DVD format looks good stretched out on my big screen all most Blu-Ray like and I have to give it up to AnimEgo for the great job. Any fan of the genre should have this in their collection. With everything said I would have to rate this film a 4.5 out of 5. More character build up of the lord and maybe another killing or 2 during the film before the ending would have gotten a 5 from me. But don’t let that bother you I wont as it’s still a great film.